Dthree | Workplace Creators | A workplace that is far from ordinary. A workplace that is far from ordinary. 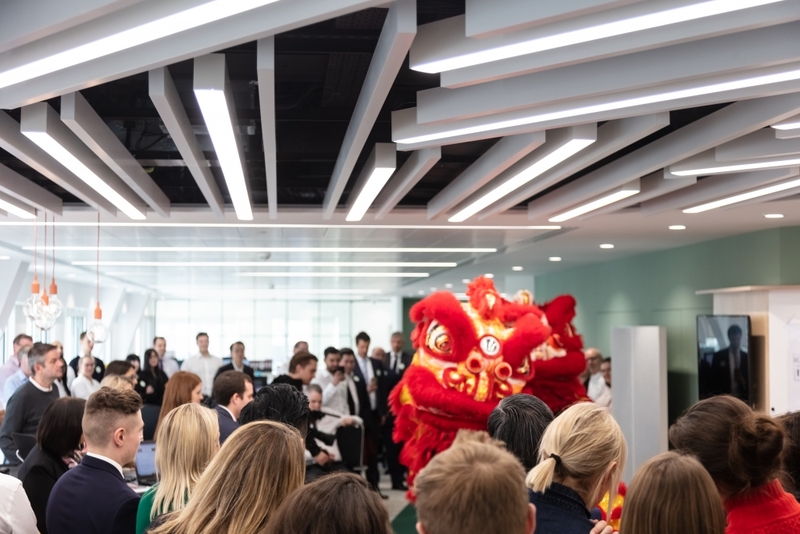 Charlie Kent talks us through the challenges, solutions and brand integration behind the new HQ’s for leading real estate developer, EcoWorld London. What was the main objective for the new office? What was unique about your design approach in terms of collaboration with EcoWorld London? How was the brand integrated into the space and why was this important to the design? How did you create a sense of fluidity in the space? “The fluidity within the space is provided by the connection from place to place, which we relied heavily on materials for. The flooring, the lighting, the colour palette, the bespoke fabrics and finishes all connect to one another. The flooring leads you through the space and identifies different areas such as working, meeting and breakout. 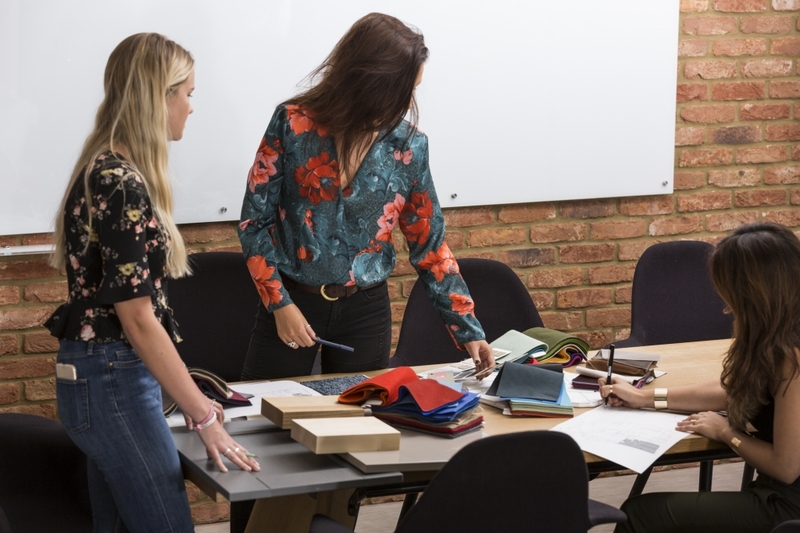 The finishes within the workspace offer a very neutral, light, bright and sophisticated palette, particularly conducive to productivity and creativity influences. 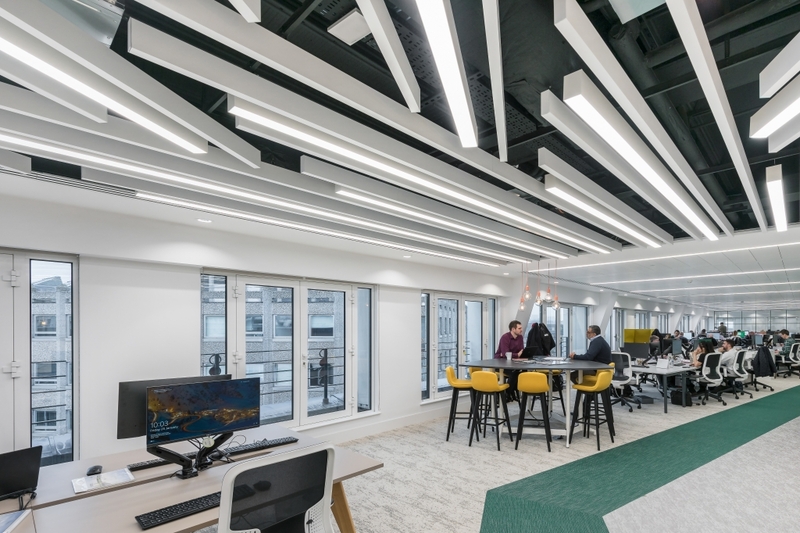 In contrast, the breakout area and collaborative spaces are a lot softer with natural timbers, upholstery finishes and highlights of brass, creating a warm, welcoming and almost residential feel. Which is intentionally synonymous with EcoWorld London’s own developments and encourages their people to feel at home and comfortable when using them. How have you future proofed the space?